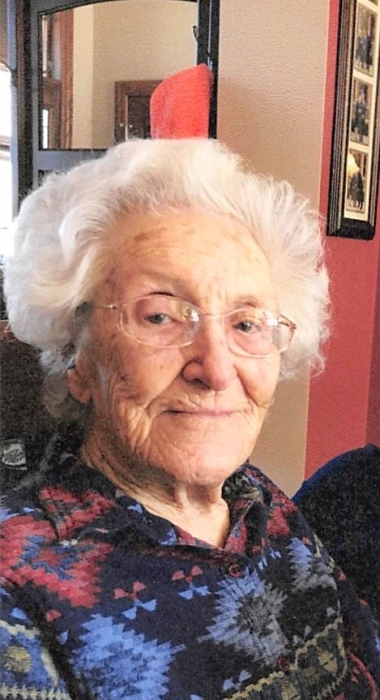 Obituary for Sarah "Betty" (Butler) Schafer | Schaffer Funeral Home, Inc.
Sarah E. "Betty" Schafer, 93, of Defiance, passed away on Tuesday, November 6, 2018 at Glenn Park of Defiance. She was born on March 19, 1925 to Howard and Ida (Moore) Butler in Middletown, Ohio. On September 16, 1944 she married John L. Schafer, who preceded her in death on October 10, 2011. Betty was a faithful member of St. Mary Catholic Church. She earned her Associate's Degree and worked as a nurse at The Defiance County Home, and at Leisure Oaks until her retirement. Betty and John enjoyed their membership in The Defiance Squares square dancing club. She also enjoyed her Women's Study League, flower gardening, and baking cookies. She was a devoted wife and mother, and she loved spending time with her family and grandchildren. Betty is survived by her daughters, Michelle (Charlie) Pfeiffer of Powhatan, VA, Melinda (Tony) Oliver of Tucson, AZ, and Terri (Scott) Heller of Defiance, sons, John David "JD" Schafer of Tucson, AZ, and Tom Schafer of Defiance. She leaves behind 13 grandchildren; David, Jesse, Dorothy, Mark, Michael, Emily, Kyle, Kelsey, Kaitlyn, Dylan, Eric, Jenny and Brett, and 14 great-grandchildren. In addition to her parents, she was preceded in death by her husband, John L. Schafer, son Tim Schafer, brother Howard Butler, and sister Ruth Kenvin. Visitation will be held from 4-7 pm on Friday, November 9, 2018 at Schaffer Funeral Home in Defiance. Funeral services will be held at 11:00 am on Saturday, November 10, 2018 at Schaffer Funeral Home, with Deacon Mark Homier officiating. Burial will follow the service at Riverside Cemetery.